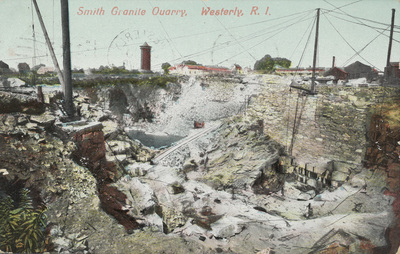 "Smith Granite Quarry, Westerly, R.I." by Metropolitan News, Boston, Mass and Germany. Smith Granite Quarry, Westerly, R.I.
Metropolitan News, Boston, Mass and Germany. Metropolitan News, Boston, Mass and Germany., "Smith Granite Quarry, Westerly, R.I." (1909). Rhode Island Postcards. 367.